Something on a Stick | "Northern Crossings"
So one of the big draws to the Minnesota State Fair is that you can get anything fried on a stick, I think you can do that at the North Dakota State FAir as well I think. 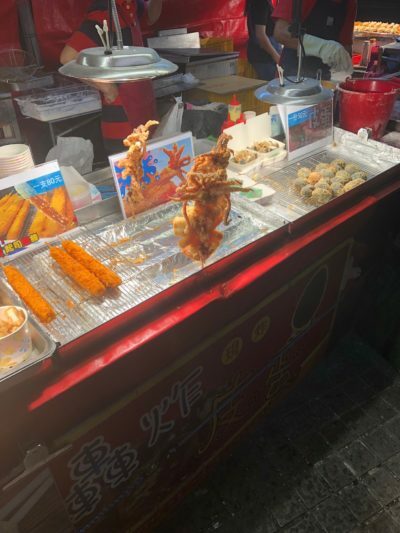 Anyway this was on the street in Taipei at a very clean stand and I think it is squid on a stick. I might have tried it but I had just eaten a few minutes earlier so…….